Bala stated that his reasons also were against the backdrop that “the love relationship between my son and Ese was built on ignorance of their religious backgrounds which make it difficult for anyone around here to support their marriage proposal. 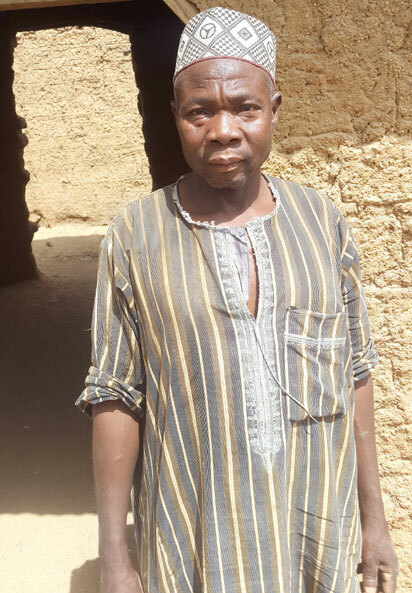 Here, I’m talking of embedded contraption that are highly offensive to my religion.” The 55-year-old farmer revealed that “there was no marriage between my son and Ese Oruru due to the contradiction and illegality involved.” Bala disclosed that when his son told him of his plan to elope with Ese, he warned him of the consequences, but when it became overwhelmingly clear that Yunusa would not heed his wise counsel, the traditional authorities were fully briefed about an impending illegality. “I promptly reported the matter to the Village Head and on their arrival, they were taken to his home and he, in turn, reported to the District Head at Kura, headquarters of Kura Local Government Area. Bala disclosed that “sequel to the request of Ese, she was converted to Islam before she was taken to the Emir’s palace, on the order of the District Head, for the Emir’s final say.” The peasant farmer said that “on arrival at the Emir’s palace, a senior counsellor who took the brief, summoned the Sharia Commission to take custody of Ese till the following day when the Emir would be available.” Shedding more light on the Yunusa/Ese love saga, Bala disclosed that the Emir who subsequently met with them, ordered that the Sharia Commission should liaise with the Assistant Inspector General of Police, Zone 1, to return her home with immediate effect. According to Yunusa’s father, “the much anticipated return of Ese to Bayelsa was truncated by her when she broke down in the AIG office and raised safety questions to her life back home. Subsequently, the move was halted to pave for investigation.” Bala who was pleased to divulge what he knew about the love saga said that “the last we heard of Ese was that she was in the custody of the Sharia Commission and kept in the home of the District Head at Kura.” The old man threw in the bombshell in his final submission when he sought to know the fuss about the Yunusa/Ese love tango. Rhetorically, he bemoaned: “Is it because I’m not Dangote that’s why the interest is high?” He never defended bringing Ese to Kano to marry him but would not accept that Ese was abducted because from all indications from his son there was a plan to bring the girl to Kano and Yinusa duly informed him that they were on their way home.